Research estimates that while companies could easily add 10-20 percent to their operating income by better utilizing human capital, only a small number reach even the 0.5 percent mark. Suffice to say, companies are leaving a wealth of value in their intellectual assets unrealized. Further, according to a recent IBM study, more than 60 percent of CHROs are dissatisfied with their organizations’ abilities in developing talent and improving workforce productivity. Focus on education, the 10 percent component of 70:20:10 model is not enough to prepare employees for challenges in the VUCA environment. 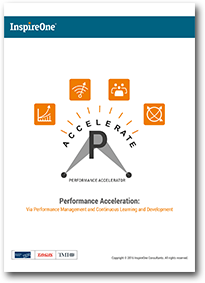 In our recent whitepaper titled “Performance Acceleration: Via Performance Management and Continuous Learning and Development”, we aim to provide insights and best practices on how to align learning initiatives with the performance management system to accelerate performance. 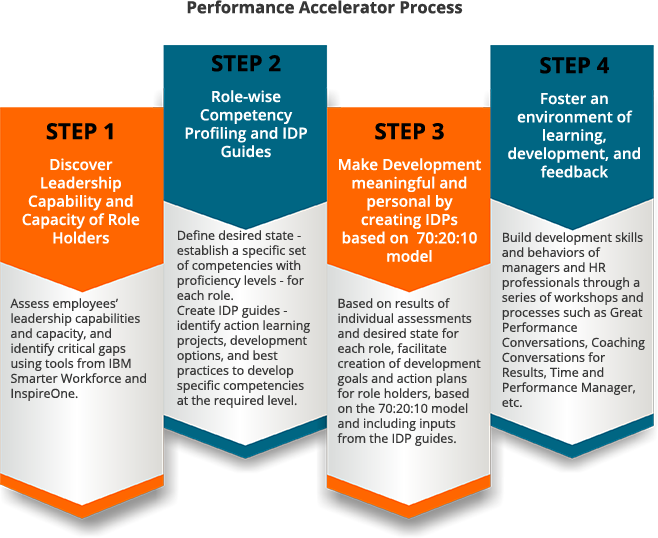 This whitepaper will help organizations design an effective performance improvement program, which is not just a one-time event, but an ongoing journey. February 6, 2019 Management Development Programs Its time to go back to the basics.